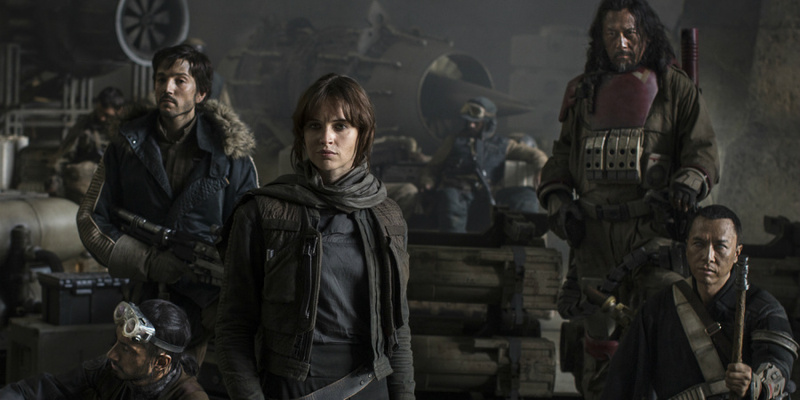 It's a little odd that we had a new Star Wars movie in 2016 but no video game to accompany it, but it has now been revealed that there were plans for interactive content based on Rogue One: A Star Wars Story - the trouble is, it was attached to Disney Infinity 3.0, which had its plug pulled early last year. According to Kotaku, a full playset was in development with Ninja Theory handling production. While work didn't get very far on the game, figures were apparently designed and prototyped. According to Allen, "a handful" of Rogue One characters were completed before the entire Disney Infinity project was canned. Would you have purchased any of these figures had they made it into production? Let us know by posting a comment below. 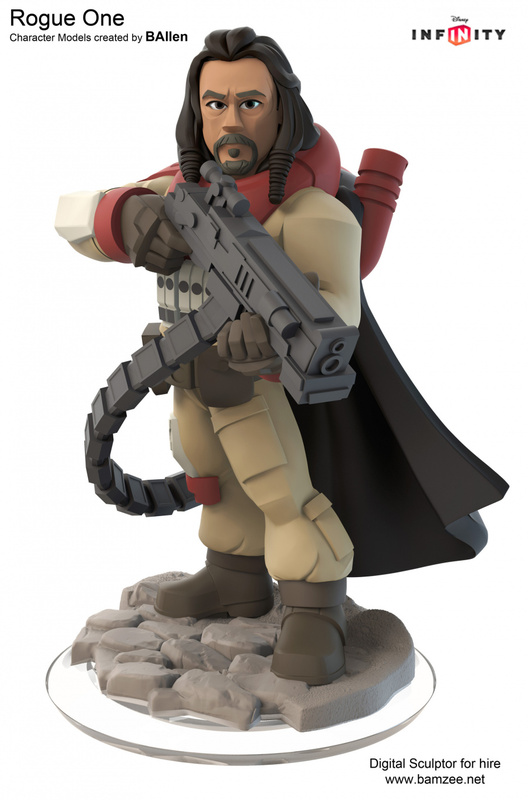 Absolutely adored Rogue One; may have even bought a few of these figures despite zero interest in Disney Infinity. It would have all come down to how they handled K-2. Imagine the collector's tax on one of those! Employee's sale on eBay in 5 years time? they can still do these. not like they stopped licensing. some enterprising individual can make use of the idea, but not bet so much that it requires billions to make sense. Just walked past about 400 iron fist and drax infinity figures in Smyths that are reduced to £2.50 or 2 for 4 quid. That's why the game was canned. And I was in there to order my Switch! no surprise here. I think toys to life has had its day. Nintendo should really try and be a bit more Innovative when it comes to content offered with amiibo, when it comes to Switch, otherwise collectors will lose interest. I have all released Smash amiibo simply because of the nostalgia factor, and having plastic representations of some pretty obscure characters. The Animal Crossing amiibo really don't carry the weight that some of the Smash figures do. Loved Rogue One, and Baze would have been particularly awesome to play as with that machine gun blaster of his! (And if they made him, there must be a ton of others...he was a very minor character). Eh...the disney infinity games were horrible and boring...Toys To Life areas I think are dying quickly...too much and too expensive to collect, I'm sure Skylanders will be the next to go here soon, they're all the same. I have collected nintendo's Amiibo figures, but it's only because I enjoy collecting nintendo items and I have interest in Lego Dimensions, but it's still too expensive to buy the packs...guess the companies need to realize that they can't charge too much for them. Hopefully Star Wars becomes added to Lego Dimensions sooner than later! 2016: Disney cancels 'Disney Infinity' line of toys-to-life games and figurines. Too bad infinity ain't what it used to be. Wait, does this mean we're now beyond infinity as in Buzz Lightyear's catchphrase? I feel so... futuristic, man. Damn, I would have bought all of these. Love DI and the Star Wars playsets have all been awesome. For toys to life to work, the games should be free and the toys unlock levels. That's the only way to really make it work, in my opinion. RIP Disney Infinity. Arguably best Disney video game product in ages (if not to date) and now half the reason I bought PS4. Loved Disney Infinity but I'm so glad it's over. I couldn't reign in my spending and ultimately bought everything. They confirmed work on a Rogue One playset way back in spring of last year, if I recall correctly. It's a shame, as content for that movie would be downright amazing, but it's also a blessing because my wallet isn't constantly empty anymore. I still love going back and playing the game with my family; I'd definitely recommend giving the franchise a go now that it's dirt-cheap! @samuelvictor Really? Stormtrooper, Rebel, or random alien backgrounder? @samuelvictor U-Wing Pilot... Impressive. Most impressive. @2CUTE4YOU Lol thanks mate. I know it's a minor thing but I'm still buzzing about it! @samuelvictor Hah, nice! I loved the movie and remembered the line immediately. It's notable. Part of Star Wars history. What should I check out from your IMDB page? I have one credit on IMDB myself as a writer for the story on a short film (was a bit more involved than that, it was awesome seeing some of my concept art enhanced and shaped into props and costumes by a master: Jose Fernandez ). Would have purchased a Rogue One set in a heart beat. The Star Wars playsets were the highlight of the entire Disney Infinity line. I still don't completely understand why it couldn't be salvaged or reinvented without abandoning the whole thing to be honest. For a company like Disney to scrap it, there must have been regular and heavy losses. @aaronsullivan Hi mate. Haha thanks I'm glad you remembered me from the movie! You're right, it definitely feels like part of history & I feel so privileged to be involved in any way, no matter how small. I've been a huge Star Wars fan all my life so it's a dream come true to be a part of it. As for Don Bluth, he's an absolutely lovely guy & super talented. I was in contact with him at least once a week for just over 18 months, a group of just under 20 of us attended regular masterclasses and seminars with him to learn traditional animation, some online via Skype, others in person. The idea was that he felt that traditional animation as an artform was in danger of dying out & he wanted to train a new generation of artists, as he was trained by Walt & the "9 old men" at Disney. He was hoping to make a feature and have us all work on it, but thusfar it's not happened. I got pretty darn good at it, and have always had an ambition to make a proper traditional hand animated feature. Unfortunately, it is VERY difficult to get "2d" animation projects funded. It will happen one day though, even if it means making a whole trailer entirely myself and going the kick starter route. I've work for Disney a lot over the years, so maybe once I have something off the ground and gaining interest, they might jump in and help. But that's a big maybe! Once I've got enough funding to be able to pay a respectful amount, I hope Don would come on board too, in some advisory form maybe. His films were a huge part of my childhood and very inspiring to me. I had a look at the link you gave, I really like the concept art you've done, and the short film looks great! @samuelvictor Sweet. Thanks for sharing. Hope that animated movie gets made. It's sad that Western studios have mostly given up on it. @Rogue76 So true, my collection is near complete save about seven power discs from blind bag purchases and four crystal figures. I have a near complete Amiibo collection as well, but Disney Infinity as a franchise was the most innovative with gameplay through their toybox in my opinion. Amiibo have done well, but Nintendo has played them well in not over producing figures. It would be nice if Nintendo could make at least one amiibo-centric game that had innovative uses of the figures. As is they are just amazingly detailed figurines with minimal practicality for in-game items, aside from Smash Bros of course.